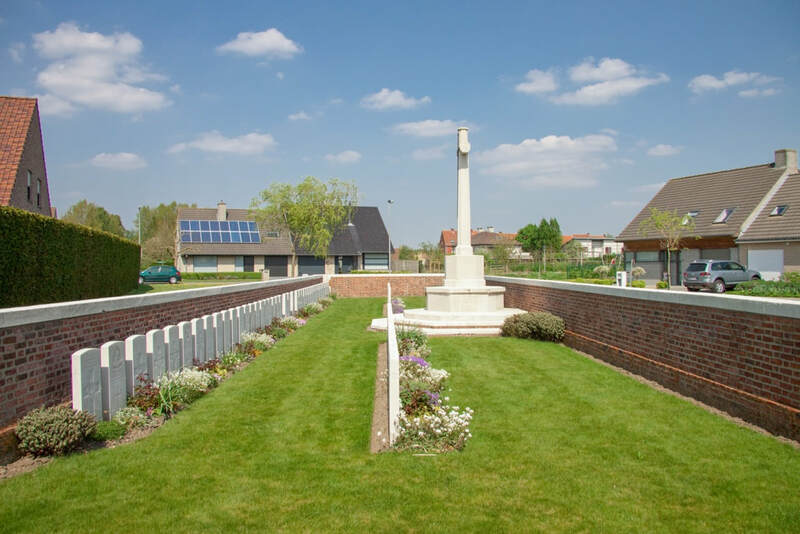 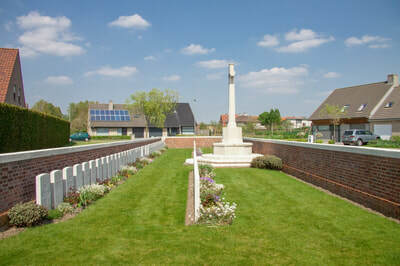 Ledeghem (now Ledegem) Military Cemetery is located 17 Km east of Ieper town centre on a road leading from the N8 Meenseweg connecting Ieper to Menen. The N8 leads from Ieper to Menen via Geluveld and Geluwe. 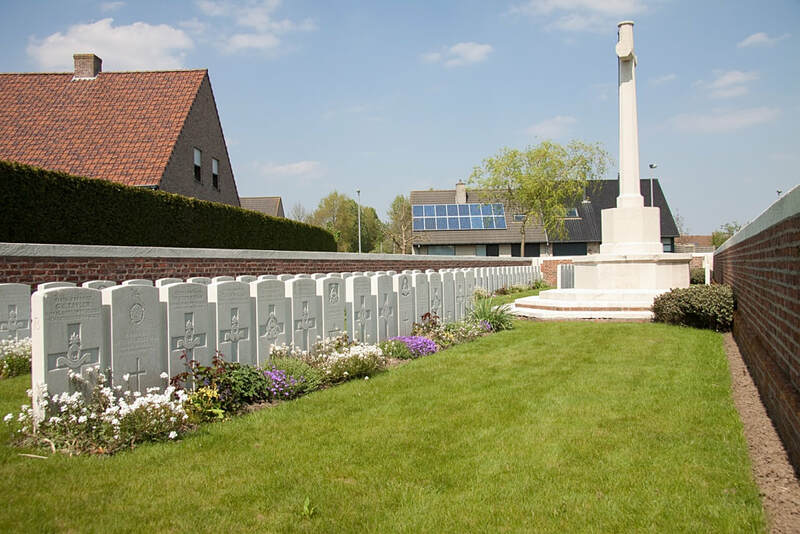 On reaching the town of Menen the left hand turning onto the N32 Bruggestraat leads to Roeselare. 4.5 Km along the N32 lies the right hand turning onto Papestraat which leads to Ledegem. 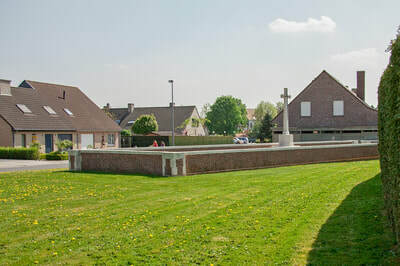 On reaching the village of Ledegem the first right hand turning along the Sint Eloois-Winkelstraat leads onto the Hugo Verriestlaan. 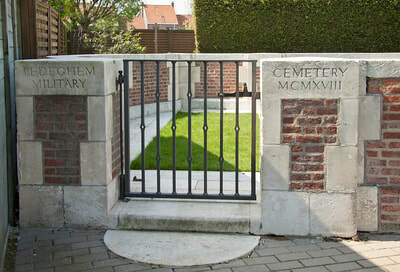 The cemetery is accessed by a short path off the Hugo Verriestlaan. 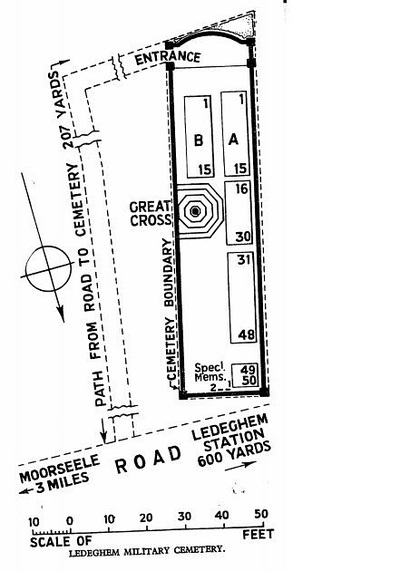 Ledeghem was almost captured on 19 October 1914 by the 10th Hussars, who were forced to retire the same day. 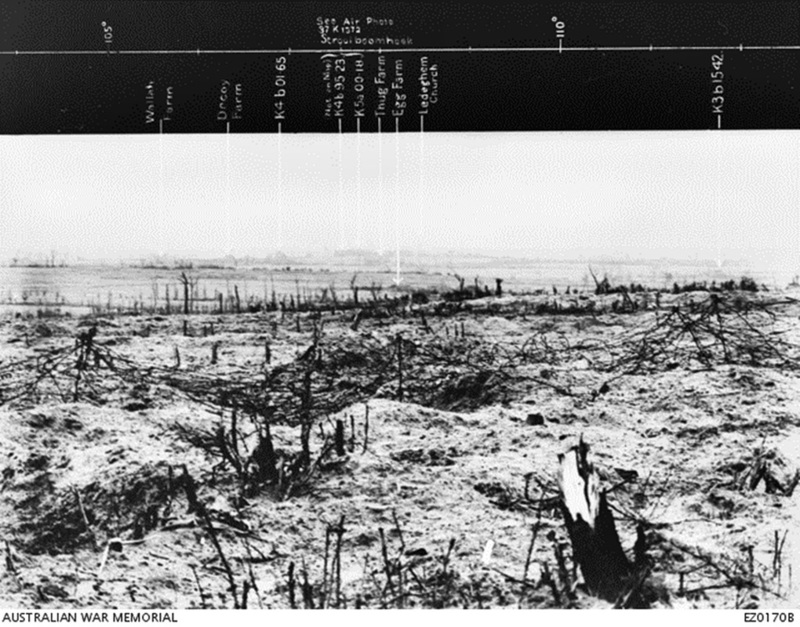 It then remained in German hands for four years. On 1 October 1918, the 9th (Scottish) Division captured the village, but could not hold the whole of it; it was finally cleared by the 29th Division on 14 October. 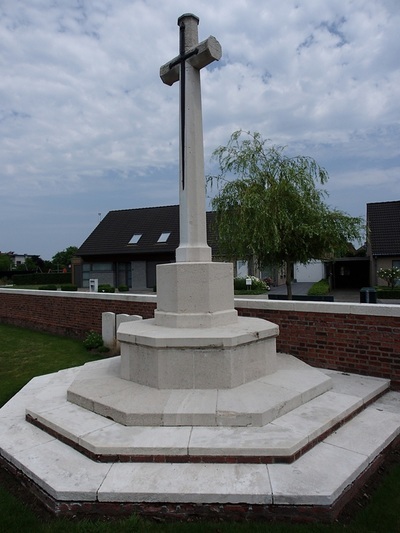 The church, the school and the civil hospital of Ledeghem were used by the Germans as hospitals, and in October 1914 to September 1918, they buried German and Commonwealth casualties in three cemeteries in the commune. 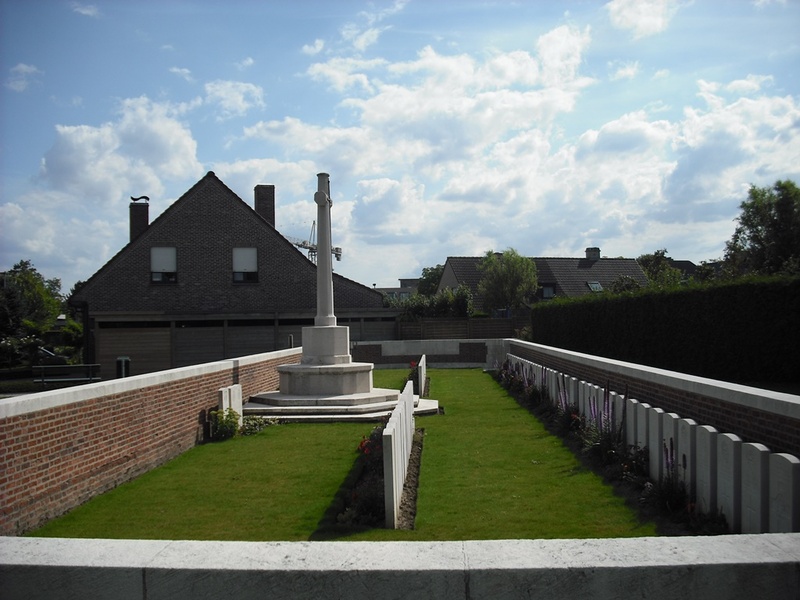 Ledeghem Military Cemetery was made by the 29th Division (as "Ledeghem New Cemetery") in October 1918. 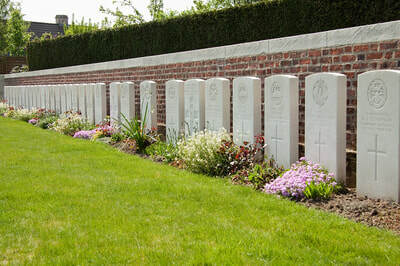 The graves of 14 casualties who died in October 1914 and September and October 1918, were removed to this cemetery in October 1951 from Ledeghem Churchyard. 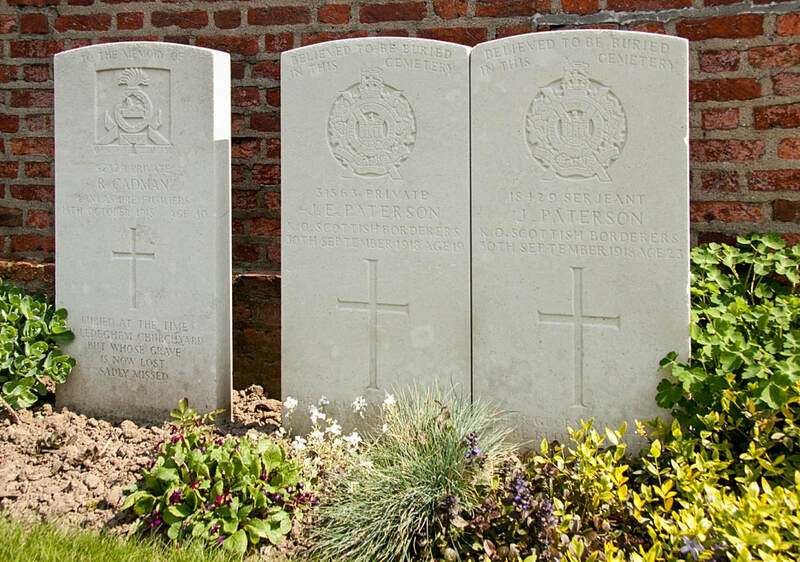 There are now 85 Commonwealth burials and commemorations of the First World War in this cemetery. 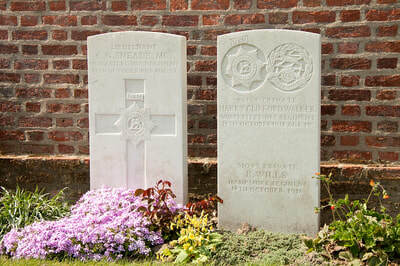 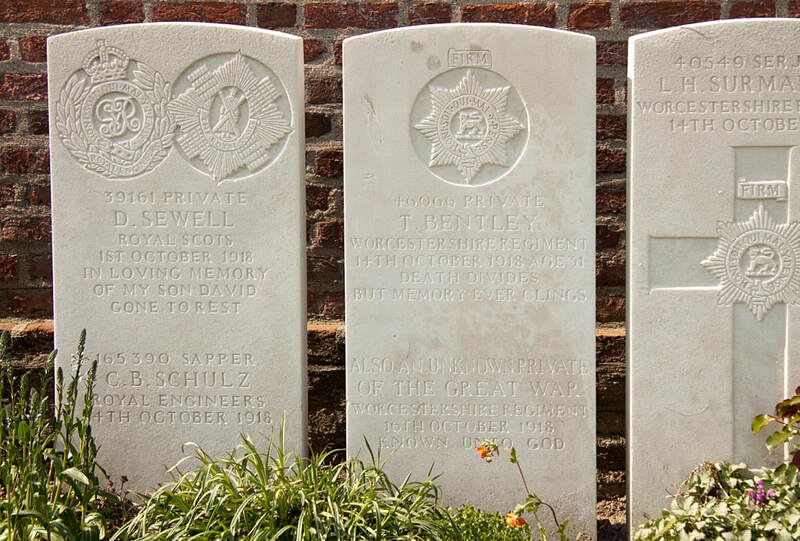 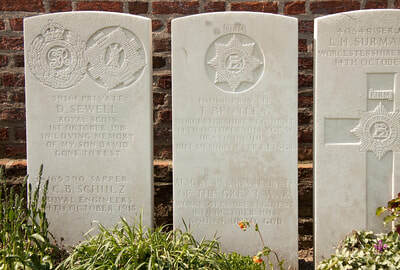 17 of the burials are unidentified but there are special memorials to two soldiers believed to be buried among them, and one whose grave was destroyed by shell fire in Ledeghem Churchyard.